We’d been having days with high winds. Gusts up to 40 miles an hour. One day the previous week Romeo and I literally got pushed along past the University Fitness Center. 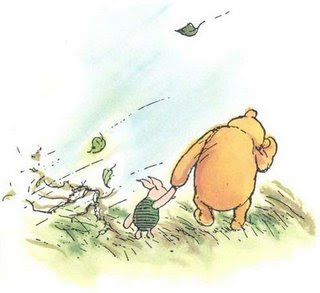 We were our own version of Pooh and Piglet on a “blustery day.” By the end of that day, the wind was still blowing and the temperature had dropped considerably. I decided to close the front window so it wouldn’t be drafty when I was on the couch. It was that tricky time of year when it isn’t quite cold enough yet to cure up the masonry stove, but it gets pretty nippy at night. So closing the windows and maybe keeping a sweater (or two) on is part of the ritual of waiting until I’m reasonably sure there will be no more 60 degree days, and the sun is low enough that it’s time to fire up the stove. So shutting the window, which had been open a few inches, probably for the last month or more, was one of those gradual measures. At first I thought that something small, like a coin or an aluminum tea light holder had been left on the sill of the window, and must have slipped down and gotten stuck. This is what I believed for almost an hour. I even left my dear handyman friend Jim a message that something must have been stuck between the two windows. But then I looked at it again. I saw that the mechanism that latches the window locked had indeed “sprung” and even cracked the plastic. I had broken my own window. I had to call Jim back, laughing, to say what had actually happened. And that apparently I don’t know my own strength. Talk about ironic little victories. 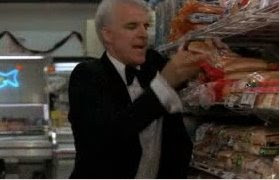 Especially when I think about the fact that six years ago, the summer before I began eating this way, I was so weak I had injured myself mysteriously by simply trying to raise one of the windows. A friend had to arrange for some younger folks we know to come over and open and close the windows for me for a few weeks. I couldn’t do it at all, much less slam one shut. I also couldn’t do it the summer I fell and hit the masonry stove. That time my neighbors across the street in Yellow House did the honors. So I just don’t have in my story of myself any single sentence that says I have this kind of strength. But apparently now I do. Friday of that week I called Norm’s Glass, sheepishly admitting I had exploded my own window latch by forcing it to close. The technician they sent over was a nice guy. They knew at the shop that they don’t carry the brand of windows anymore they installed in my home 16 years ago, but the technician might still have an extra part that would work. And he did. 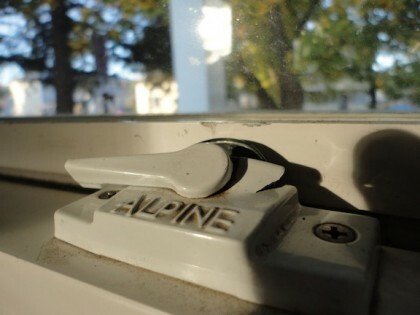 He found an Alpine latch that is beige, and my windows are white (not that you can tell from the combination of shadow and dirt in the photo), but we decided using the exact same one would be better for the function of the window. So now the window opens and closes. And I know to spray something like Pledge along the track so it doesn’t stick. And I don’t have to use my Wonder Woman powers again just to close it against the wind. I guess I have to revise my own story to catch up with the direction my body is leading me. Sometimes it seems to be headed off on its own trajectory the way my son would when he was a toddler, just for the joy of it . All I could do then was put my sneakers on and try to keep up. Never thought I’d be trying to keep up with myself. And at age 56. I tell ya. Talk about wonders. You brute! LOL Maria, I love how you take one of life’s little problems and turn it into a victory. What a wonderful attitude! Susan, you made me laugh out loud for several minutes! What a nice way to begin checking things on the computer this morning! Thanks!